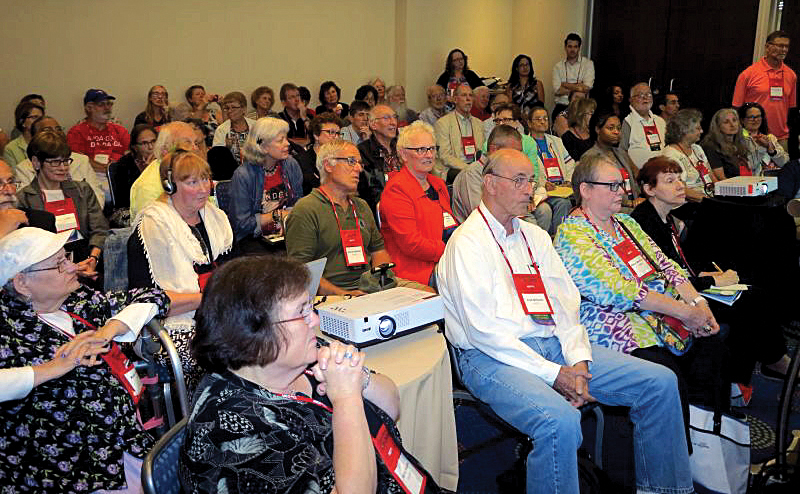 This workshop at a recent Hearing Loss Association of America convention was attended by hearing-impaired people. Only one individual is wearing a headset because the room was looped, with everyone else using their telecoils. The consumer-led movement to increase awareness and availability of hearing loop technology in the US continues to gain momentum. And, in Great Britain, where it’s the predominant assistive listening technology, there has been a resurgence of interest and support for audio frequency induction loop systems (AFILS), more commonly just called hearing loops. Even though FM and infrared are dominant in the US, those advocating for hearing loops have claimed for years that it is the preferred assistive listening technology, but there’s been scant documentation to support that contention. Thanks to the Committee for Communication Access in New Mexico (CCAnm), there are now some hard figures that support that claim. The CCAnm has conducted an online survey on the matter that provides a pretty clear picture of when, where and how hearing-impaired individuals access assistive listening systems (ALS), and their preferences when doing so. Using the online services of Survey Monkey, CCAnm mounted a 10-question survey and then invited more than 2000 known hard-of-hearing email recipients to participate, and to also invite their hearing-impaired friends and relatives to do so. The survey was also promoted on social media and, in all instances, participation was restricted to those with a hearing loss. There were more than 350 participants when the survey was closed down. Demonstrating both why they need an ALS and that they are savvy consumers, more than 98% of those taking the survey report that they have hearing aids or cochlear implants, and nearly 90% report having telecoils in their devices in order to connect to the electromagnetic signal from a hearing loop. Because a different survey found that only about 33% of American hearing aid buyers are even told about telecoils and hearing loops when they initially purchase their devices, that 90% figure demonstrates that these individuals have made a concerted effort to learn more about hearing loss, its treatment and technologies that supplement or complement their hearing aids. Nearly 50% of respondents report avoiding activities where they know there is no ALS and expect they might have difficulty hearing the proceedings, clearly demonstrating the need for an ALS to draw in this segment of the public. 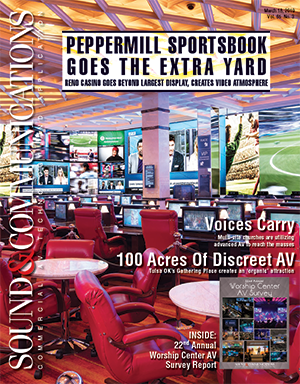 However, when asked, “If you go to a theater, place of worship, meeting room or other venue that has an assistive listening system where you must borrow a receiver and a headset, how often do you borrow the equipment?” a scant 19% reported “always borrowing the equipment,” with 13% saying, “usually” and another 23% claiming “sometimes.” That left a huge number (45%) saying that they never borrow the equipment. When a neckloop option was added to the question, there were more takers for the borrowed equipment, with only 31% responding “never” instead of the previous 45%. As the old saying goes, “the proof is in the pudding”: When offered the option of using a hearing loop that would allow the user to simply touch the t-switch on the hearing aids or cochlear implant to access the ALS, 59% of respondents who had telecoil-equipped devices reported “always” using the system; this is three times the number reported for receiver/headset systems. With another 15% reporting they “usually” activated their telecoils, you’re up to nearly 75%. These figures are impressive by themselves, but when you add another 12% who say they “sometimes” turn on their t-coils and access the loop, you’re up to 86%, a truly meaningful endorsement of AFILS technology. Advocates report that there are a number of reasons for this dramatically demonstrated preference for hearing loops. First among them is the fact that, for those with telecoil-equipped hearing aids or cochlear implants (CIs), the freedom from borrowing and returning loaned receivers and headsets (or even neck loops) is key. Concerns over loss or damage to their precious hearing aids if they must be removed is another major concern, followed by hygienic concerns in regard to the borrowed headsets or ear buds. Another reason offered by the more informed users is that their hearing aids customize sound to match the pattern of their audiogram, offering more amplification to those frequencies they don’t hear well, something a headset does not do. 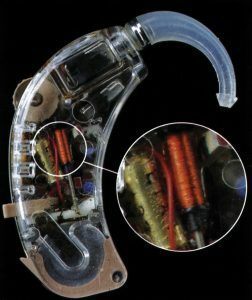 For those with a cochlear implant, headsets simply won’t work with their devices, but all CIs now being implanted have telecoils. According to a recent Consumer’s Guide to Hearing Aids, published by the Hearing Loss Association of America, more than 70% of all current hearing aid models have or can be fitted with telecoils. 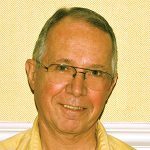 The experience in churches that have installed a hearing loop ALS is that members of the congregation whose hearing aids don’t have telecoils soon replace them with new ones that do after they see their hard-of-hearing friends enjoying the benefits they offer. Although theaters, legislative chambers, meeting halls and other venues have decided to “get in the hearing loop,” churches are still the number one user of the technology among public gathering places. Many churches have been looped after one or more hearing-impaired members of their congregation have attended a service at another church and experienced the much improved communication access that church’s hearing loop offered. There have even been reports of people leaving their unlooped church to become a member of one where they can hear and enjoy the service via a hearing loop. To see the complete survey and its results, go to www.ccanm.homestead.com/home.html and click on the “loop survey” link. For more information about hearing loops, go to www.loopnm.com.